It is well known that Ontario’s population is aging. But a closer look at census data reveals that Ontario’s population is aging more rapidly in smaller communities, many of which are also losing younger people needed to support local economies and the local services on which aging Ontarians rely. 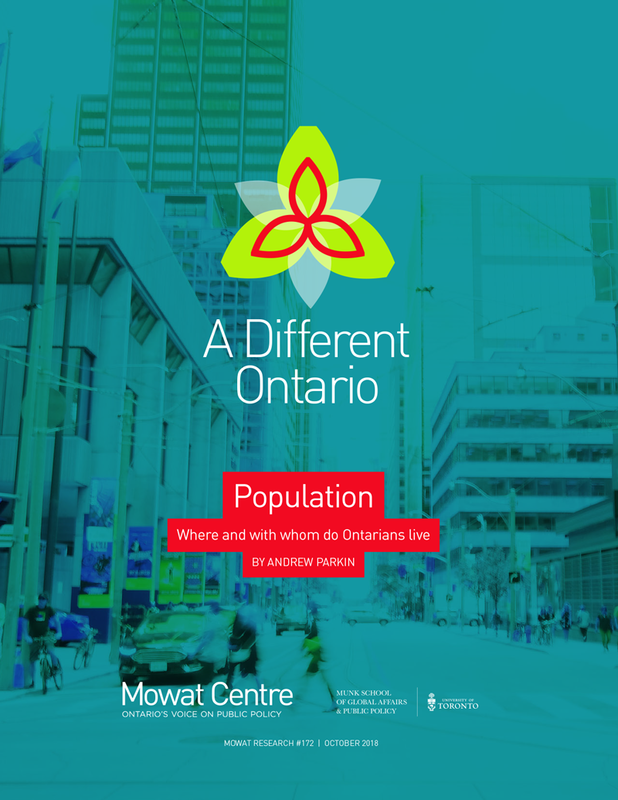 The first report in Mowat’s new A Different Ontario series focuses on key trends and nuances revealed from Census 2016 population data. This data – charting where Ontarians of different age groups are choosing to live, and in what types of family arrangements – is particularly important to policymakers. It tells them where public investments in different kinds of infrastructure, health, education and social services are most needed now, in the near future, and over the longer term. 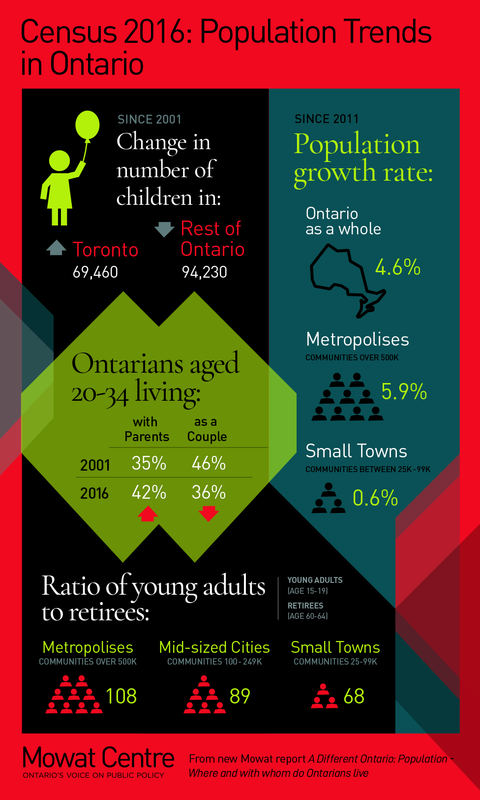 The report breaks down the key trends revealed in the 2016 Census regarding Ontario’s population growth, population aging and changing family arrangements. We find that in Ontario, both growth and aging are unevenly distributed across larger and smaller communities. We also find that younger working-age Ontarians are more likely to be single (i.e., unmarried) and to live on their own than in the past. We then analyze the implications of these trends for policymakers. This series of reports takes a close look at data from the 2016 Census to chart the most important trends and to discuss their implications for policymakers. Many of the Census results, such as those related to aging or diversity, have been widely reported. But a closer look at the data reveals both trends that have been overlooked and important nuances that merit more attention from policymakers and the public.